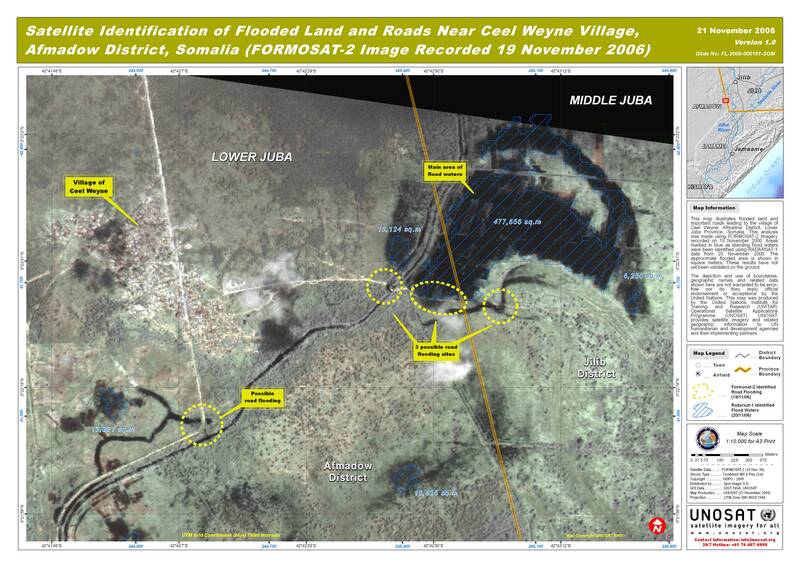 This map illustrates flooded land and important roads leading to the village of Ceel Weyne, Afmadow District, Lower Juba Province. This analysis was made using FORMOSAT-2 Imagery recorded on 19 November 2006. Areas marked in blue as standing flood waters were been identified using Radarsat-1 data from 20 November 2006. These results have not yet been validated on the ground. Distributed by: Spot Image S.A.